The nation is paying homage to the martyrs of the Jallianwala Bagh massacre on the centenary of the incident on Saturday. On this day in 1919, hundreds of people were killed by troops under British Brigadier General Reginald Dyer, during a peaceful meeting at the park. President Ram Nath Kovind, Vice President M Venkaiah Naidu and Prime Minister Narendra Modi paid tributes to the martyrs of the incident. 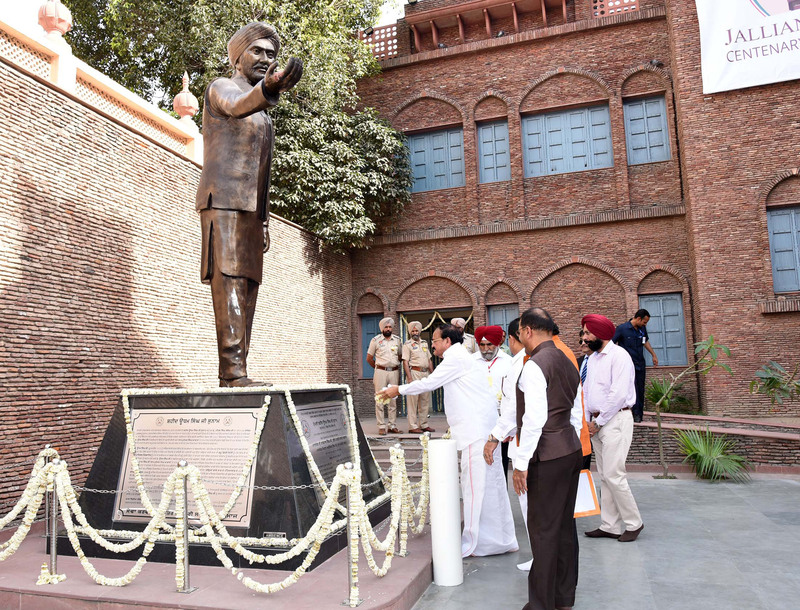 The Vice President paid tributes at the Jallianwala Bagh National Memorial in Amritsar. Mr Naidu also participated in the centenary prayer meeting observed on the completion of 100 years of the massacre.